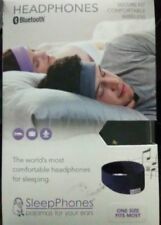 SleepPhones Bluetooth Speakers in Comfortable Band Purple. Not used at all, just opened the box. All packaging is original. 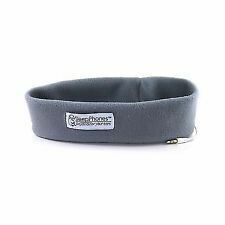 New In Box Sleepphones Classic Headphones Ultra Thin Speaker Lightweight Comfy. Condition is New. Shipped with USPS First Class Package. Say goodbye to restless nights with AcousticSheep SleepPhones, the worlds first and most comfortable headphones for sleeping. 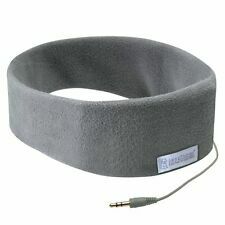 Youll be able to comfortably fall asleep while listening to your favorite music, podcasts, audiobooks, and more without having to use uncomfortable headphones or bulky earbuds either digging into your ears or falling out. Say goodbye to restless nights with AcousticSheep SleepPhones, the world’s first and most comfortable headphones for sleeping. You’ll be able to comfortably fall asleep while listening to your favorite music, podcasts, audiobooks, and more without having to use uncomfortable headphones or bulky earbuds either digging into your ears or falling out. Say goodbye to restless nights with AcousticSheep SleepPhones, the world's first and most comfortable headphones for sleeping. 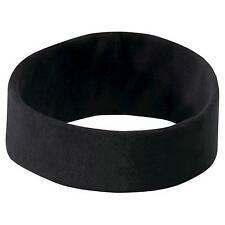 You'll be able to comfortably fall asleep while listening to your favorite music, podcasts, audiobooks, and more without having to use uncomfortable headphones or bulky earbuds either digging into your ears or falling out.